I hope you all are doing well!! 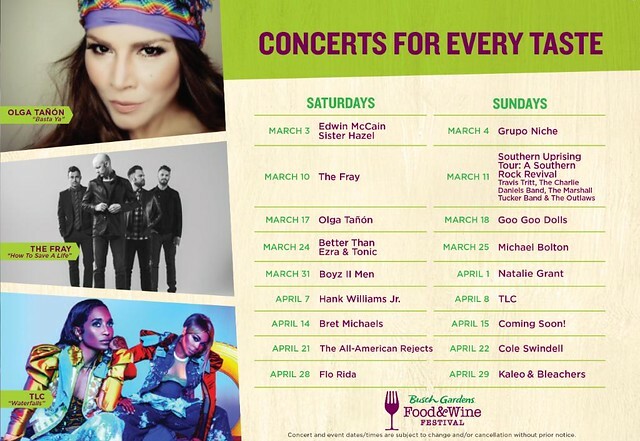 I'm going to start off this post by giving Geno from QYK and Bill from Touring Central Florida a shoutout, because if it wouldn't have been for them, I wouldn't have even known they released the lineup and menus. I'm going to start off with the concert lineup! I feel like that tends to be the most important part of planning your day. Yeah you wanna eat the food, but if you're gonna go, make sure you are going on the day that there is an artist you want to see playing! This years line-up is actually pretty solid! I'm excited! Hopefully the Goo Goo Dolls don't have to pull out of the show at the last minute this year, I know a lot of people were pretty upset when they had to pull out a previous year. 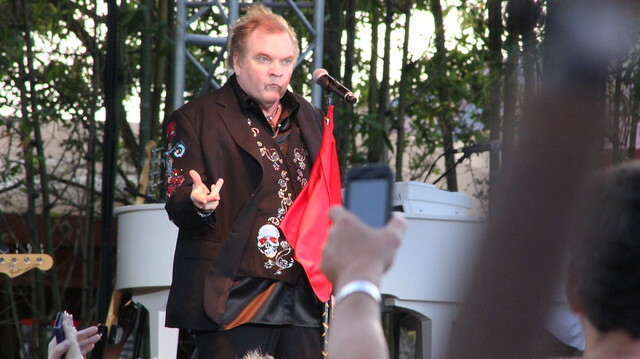 I'm so glad that I got to see Meat Loaf when he was there! Anyways, I have other pictures, but I apparently can't find them...especially of The All American Rejects. .. Figures. I'm pretty sure I will be there at least one day almost every weekend! I am most excited about Boys II Men and Michael Bolton! Heads up though! If you are wanting to see any of the Artists/Bands playing, I suggest getting into Gwazi Field early and finding a good spot...or purchasing a VIP ticket, which gets you a seat close to the stage! I may end up doing that this year for a couple of them! I do know that the VIP seats are not expensive at all..I think they were $15 last year? But I could be mistaken! I do know they were under $30 though! The concerts are totally free and part of the admission, so you don't have to worry about that! Are you planning on going to Food and Wine this year?! What artists do you want to see play! ?